When it comes to ledger-sized paper printing, the numbers of machines available are limited. 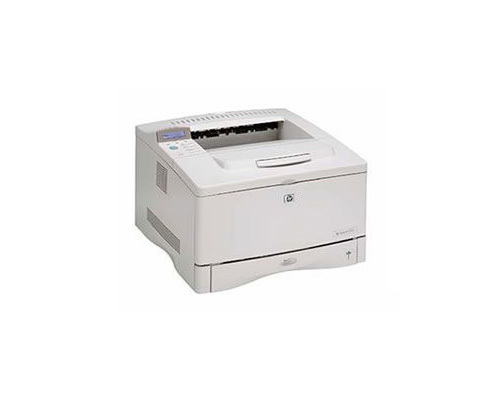 If you also need it in a compact desktop design, look to the 2002 Hewlett-Packard LaserJet 5100Le. With a smaller footprint than most ledger or tabloid-size printers, the LaserJet delivers true 1200 x 1200 dpi resolutions at speeds up to 22 ppm. The LaserJet 5100Le comes with 16MB of memory and requires direct connection to a computer via its parallel port (just like the LaserJet 5100). The 5100Le comes with three DIMM memory slots for adding more memory up to 192MB. And if you need a network printer, a JetDirect network card can be added in on for the two available I/O slots. The printer comes with a 250-sheet cassette tray that can support paperweights from 16# to 28#, and sizes ranging from 7-1/3” x 10.5” up to 11” x 17”. The 5100Le’s multi-purpose flip-tray can support up to 100 sheets of papers and cardstock up to 53#, envelopes, and transparencies. Unlike other 5100’s the 5100Le does not offer expansion with additional paper trays. Image quality is not sacrificed with the LaserJet 5100Le. Having print speeds up to 22 pages per minute, the LaserJet offers up to 1,200 x 1,200 dpi printing resolutions. At 1200 dpi, the 5100Le keeps text sharp--even at 6-point font sizes--and does a decent job with printing graphics in B&W. With an instant-on fuser system, there are no more long wake-up times when the printer is in power save mode. While other printers can take as long as 30 seconds, the LaserJet 5100Le starts printing in less than 13 seconds. Like all LaserJets, the 5100Le comes with a toner save mode to conserve on ink. This is one loud printer. It’s interesting that HP downplays the noise factor by listing the specs in bels, instead of the normal decibels. In HP’s documentation the 5100Le generates 6.6 bels of sound. This translates to 66 decibels. To give you an idea what that means: 65dB is the level of loud conversations and 70 dB is the volume level of vacuum cleaners. You don’t want to have this printer next to someone’s cubicle, much less inside the cubicle! 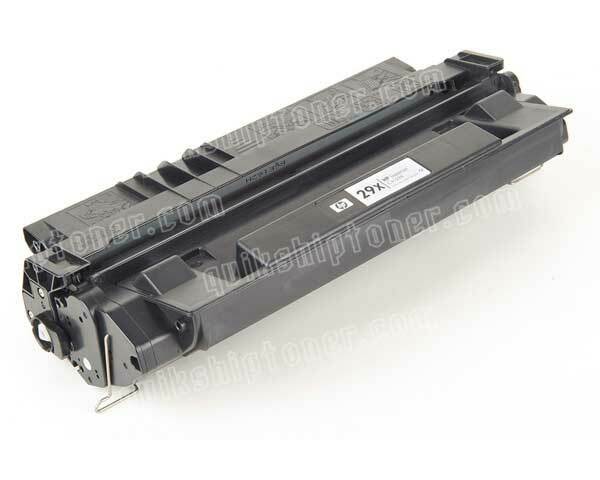 Review it: "HP LaserJet 5100Le "
The LaserJet 5100Le toner and drum are integrated in a single cartridge, making it easy to maintain. 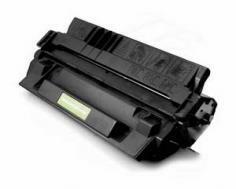 It comes with the standard 10,000-sheet yield toner cartridge. (None of that partially-full, “starter toner” nonsense.). If your business intends to use this printer in payroll for check printing--and here’s where you probably want the 5100Le directly cabled to a single computer--a 10,000-page Magnetic Ink Character Recognition (MICR) ink cartridge can be purchased.